With home-based devices, for some people, it’s all about convenience and nothing else. They want to save time when they get home from work in the evening or to avoid using up half their weekend in the garden trying to develop green fingers. For other people, they enjoy trying out different smart devices to see what works well and upgrading to better models as they’re released. Then there are the pragmatists who don’t love technology per se but embrace technology as a reality and try to get the best mix of features for the price. Knowing what kind of technology person you are will avoid disappointment when sizing up what home devices to buy and the ones to leave until the new version comes out. Which ones to buy and those to skip altogether as too clever for their own good is an important consideration too. Let’s now look at a few types of devices for the home that are useful for homeowners. Different software companies and manufacturers have put together their own smart home systems. Some manufacturers have created a series of products that can all communicate together and work as one. Others have chosen the standalone approach, which is less successful. A later innovation in the Internet of Things is for software and technology brands to create a software platform that manufacturers can sign up to. Approaching it this way makes it possible to expand the list of devices that are compatible with a certain platform. Therefore, while Samsung has their SmartThings platform, there’s a growing list of alarms, lights, sensors, video cameras and other systems that work on specific software platforms like Amazon Alexa or Apple HomeKit. 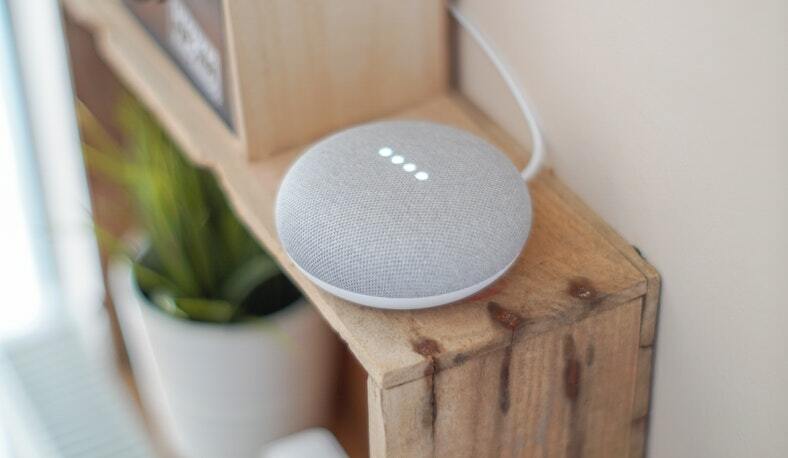 At present, if you’re planning to own several different smart home devices over time, then for the ones that network together and work cooperatively (door locks and alarm systems, for instance), you’re better off picking a single platform and sticking to it. For iPhone and iPad users, the Apple HomeKit-based devices make a lot of sense. For Amazon customers, the Alexa-compatible devices are interesting. People who love everything Samsung could buy into their SmartThings platform, but it’s likely to be more limited in scope and product range. The time of the wireless smart door lock has come. They’re now in their 2nd, 3rd or fourth iteration which has helped to iron out the bugs, fix any security issues, and provide different approaches to the home security arena. Smart locks work in a variety of ways depending both on the features of the lock itself or the system they’re connected to. Some may use an NFC, Bluetooth or Wi-Fi connection to confirm the identity of the person who’s approached the door; a smartphone is often enough to unlock your front door. Other systems include a physical numeric keypad, a fingerprint sensor or have dual protection with a non-internet connected deadbolt for the more security conscious homeowner. While a lock may go through its unlocking procedure, some like the Schlage Smart Lock will connect to their Schlage house alarm system too. There are enough locks that don’t have a keyhole to pick at all; they’re touch-based instead. Locks will often have an app to control them that runs on iOS or Android. They may also integrate with a larger set of home devices produced under the same brand. Beyond that, they’ll be marketed as “works with” a home brand like Amazon Alexa, Samsung SmartThings or Apple HomeKit. Not every lock is made to work with all mobile platforms or home systems either. You must pick the best from the ones which are compatible with your existing home system or the whole system you’re putting into place now. Putting CCTV in your home or on the entrances and exits is a good preventative measure. It works for offices and just as well for residential homes too. With CCTV installation, which you can get done using CCTV installers like ACCL if you’re around the London area, they can be completed efficiently without creating debris to clean up after the CCTV installers have left. Some cameras run wirelessly and share a live feed over the internet via a secure login whereas as some keep the cameras strictly closed circuit. When there are cameras going into secure areas or private areas, then this could be preferred in the age of huge data break-ins happening at major firms left and right. When using a cabled, wired network of CCTV cameras, no one sees the images but you unless you want them too. This provides a greater level of privacy for people who care about that sort of thing. A robotic vacuum is a next level in not losing part of the weekend to various chores around the house. The robotic vacuum roams around the floor doing the vacuuming for you. Some of them accept voice commands, like the EcoVacs Deebot N79 which plays nice with Amazon’s Alexa voice command system. They offer different suctions levels for improved cleaning, but the battery gets drained faster that way. Most models have a return-to-base feature where they can go back to their charging unit before they run out of juice. Robotic vacuums are not perfect. They will struggle to go over bumps in the carpet and won’t climb up the stairs to do the upper levels too. Pet hair is a bit rough for them, but they do accept a modest amount unless you have a dog that molts all day. Their navigation is provided via sensors that learn where the furniture is and avoid the walls. However, they do still bump off furniture at times, so a home with antiques shouldn’t have a robotic vacuum. While you’ll still need to dust and perform other cleaning tasks, pushing the vacuum around the floor each weekend is one chore you can minimize or remove entirely from your chores list. For people with gardens, the other time saver is a robotic lawnmower. Long gone are the days where you have to risk your toes with a manual lawn mower; now you can set a robotic mower on its way and it’ll do the job for you. Robotic lawn mowers work by trimming a minor amount. They move around and chop a little more and move off. Some are better at climbing up inclines or dealing with uneven terrain than others. The battery also makes a big difference to the cutting time because the mower needs recharging sooner. While you still need to use a trimmer to cut the edges of the lawn to make it look proper and not overshadow the plant life, you can save 30-60 minutes every weekend with a robotic mower, which really adds up over the years. They’re pricey though, so it’s a real investment in buying back your free time. There are numerous home devices that can take the stress out of performing chores, improve security or give you remote access over the web to things you previously had to be there to do yourself. Being able to unlock the front door for a friend who’s coming over when you’re running late or using energy-efficient smart light bulbs to turn the lights on and off when you’re on holiday is cool. It also has a practical application too. Whilst homes are just fine without smart devices, their addition provides new options for homeowners who wish to go the extra mile.